The simple act of living out their Christian faith is dangerous for so many Christians around the world. Because of extremism, many are part of underground churches that worship in secret. Other have no community support at all and worship on their own. According to the Pew Research Center, among the world’s 25 most populous countries, these five countries have the highest religious restrictions: Egypt, Indonesia, Pakistan, Russia, and Turkey. 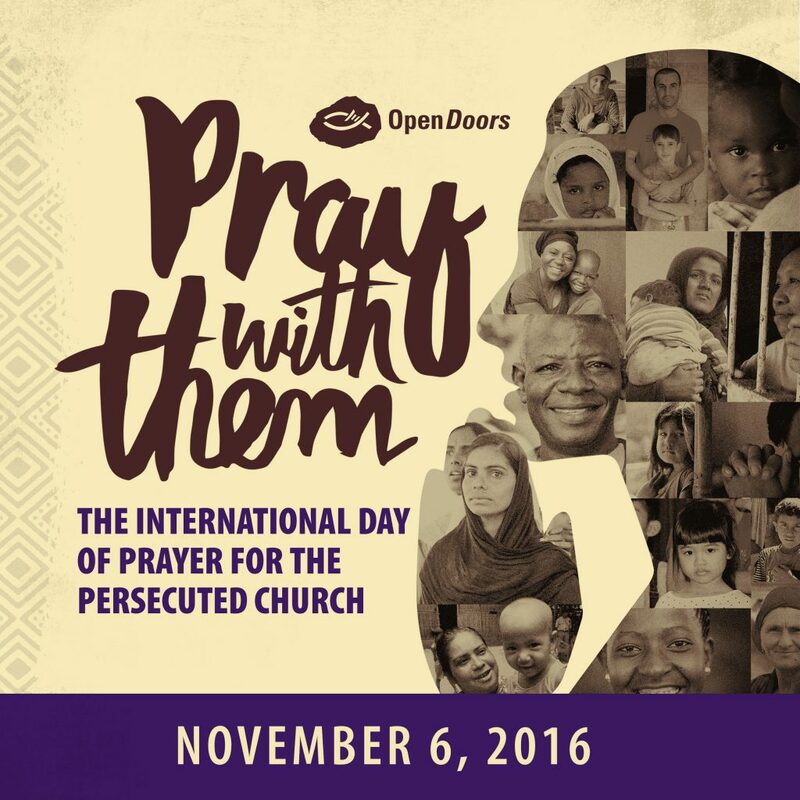 This Sunday, November 6, 2016, is the International Day of Prayer for the Persecuted Church. Please take some time to pray for those who are suffering for their faith. I have listed resources here that will help you to pray in an informed way. These resources also highlight other ways you can help if you desire. For example, through VOM I have purchased Action Packs and filled them with blankets, clothing, etc. for displaced Christians. You’ll find numerous opportunities to make a difference. But remember, we need to start with prayer, as that is the most powerful way to affect change. In 2013 I interviewed Todd Daniels from International Christian Concern. This year Only By Prayer welcomes William Stark From ICC as he gives us an important update on what we can learn from the persecuted church and how we can support them. Listen below or you can also subscribe on iTunes. There are other organizations as well. These will get your started as you seek to become informed and to help. Thank you for supporting our brothers and sisters in Christ, and feel free to post your prayers in the comment section.